Create Changes Implant, Invisalign, and Cosmetic Dentist offers cheap implants Cardiff and Invisalign Cardiff. The clinic has a team of trained and experienced cosmetic dentistry experts, orthodontists. and implant experts who are dedicated to helping people regain their confidence and smile. Invisalign technology is quickly becoming the leading brace solution today. Unlike traditional wire braces where the patient is forced to walk around with a mouth full of metal, Invisalign offers an aesthetically pleasing way of straightening teeth. It is invisible, so individuals can straighten their teeth without anyone noticing their effort. The Invisalign brace system is also more comfortable than wire braces as it is made with soft plastic trays. Wire braces can snag in the mouth and hurt the tissues in the lips and cheeks. Traditional braces are more painful as they apply pressure to all the teeth to slowly move them into place. The Invisalign brace system, on the other hand, uses plastic trays to slowly shift 1 or 2 teeth per aligner into place. It also provides faster results. According to studies, metal braces take almost 36 months or 3 years to straighten teeth. With Invisalign, it only takes 6 months at the least and 18 months at most to achieve the desired results. There are no food restrictions as well. Patients can remove Invisalign while they eat, which is something that is not possible with traditional metal braces. Those who are wearing wire braces need to restrict their eating habits so that they don’t chew food that may harm the device. Invisalign is easier to clean than traditional wire braces as the plastic trays can be removed. Patients with wire braces are more susceptible to tooth decay and demineralization of the teeth as they can’t remove the wire braces and properly clean their teeth. With Invisalign, patients don’t need to go back to the clinic every 2 weeks to have their trays adjusted. Only occasional and brief visits are required to monitor their progress. 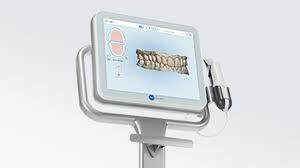 A computerized system is used to plan the steps that their braces will take and to see what their finalized smile will look like before they even start the treatment. For those have lost a tooth due to an injury, periodontal disease or other reasons, Create Changes provides dental implants that will not put a dent in their wallet. Dental implants don’t depend on other teeth to support the implant. Studies show that with proper maintenance, dental implants can last a long time. The team at Create Changes can perform dental implants that feel and look like real teeth. These implants can also protect the rest of the teeth from damage as it can prevent gum recession and bone loss. Teeth surrounding the implant are also less likely to be affected or altered. Dental implants are more comfortable to wear as it allows the patient to eat what they want. The clinic provides free quotes for those who want to know the implant cost Cardiff and Invisalign cost Cardiff. They will assess the patient’s oral health to determine if they are a good candidate for Invisalign or dental implants. Do you hate having impressions for dental work? Our digital photo scanner makes this a thing of the past !